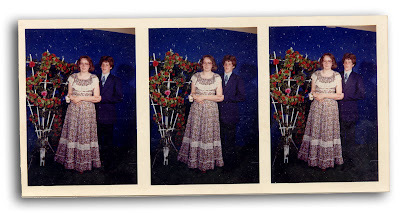 Color photo, a souvenir of the prom, I'm guessing. 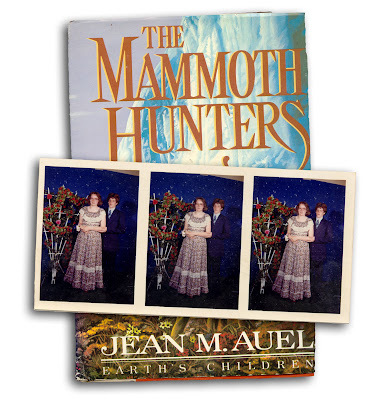 Found in "The Mammoth Hunters" by Jean M. Auel. Published by Crown, 1985.